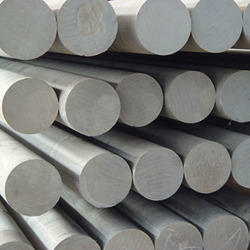 Leading Manufacturer of round rods, round bars, hexagonal bars and aluminium bars from Surat. To keep the client satisfied, we manufacture and supply high quality Round Rods. Offered round rod is manufactured by utilizing ultra-modern technology and utmost grade material keeping in mind the set standard. Our round rod is quality checked on various parameters before final dispatch to customers. As well, this round rod is made available as per clients' specifications in a stipulated time. 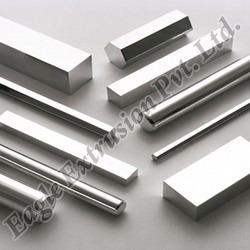 We offer sturdy and anti- corrosive Stainless Steel Round Bars fabricated using optimum quality stainless steel. Our range is extensively used in varied industries. By keeping track with the industrial developments, we are involved in presenting a wide range of Hexagonal Bars. Our offered hexagonal bars are highly renowned for their industry approved design and other related excellent features. These hexagonal bars are available in customized forms, in order to fulfill the demands of our valued clients. Also, our entire range of hexagonal bars is offered in a given time frame. With the active support of our team of experts, we are engaged in offering a huge gamut of Miscellaneous Aluminium Bars. We offer these premier quality Miscellaneous Aluminium Bars as per the diverse requirements of various industries. These bars are offered at market competitive price range to attain optimum client satisfaction. Thus, these are very popular in the industry.